On Day 88 (23rd March 2018) of its journey, the Queen’s Baton will arrives in Rockhampton at approximately 3:23pm from Duaringa. Due to road closures for this event, some of our Rockhampton bus services will be impacted on Friday 23 March 2018 from 12:00pm til late. We appreciate your patience and understanding during this significant event. To make it easier for you, we’ve listed the disruptions by city and then route. The Baton will arrive at the Kenrick Tucker Velodrome and make its way towards the Alf Kele Memorial Rotary Park on Sir Raymond Huish Drive by 5:30pm. Rockhampton Regional Council will be hosting celebrations a “Baton Relay after party”. 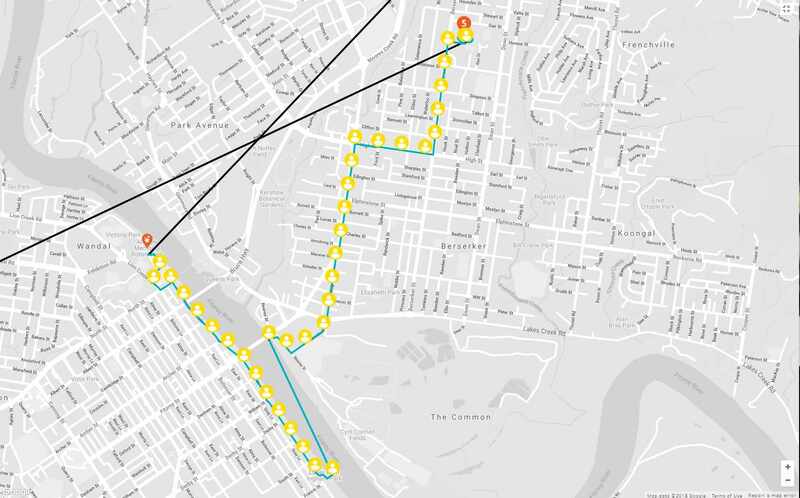 See below map for more info about the Baton’s route through Rockhampton. On the same day, the Baton will then make its way to Yeppoon where it will resume at 8:00pm followed by a community celebration hosted by Livingstone Shire Council. There will be no disruption to bus services in Yeppoon.